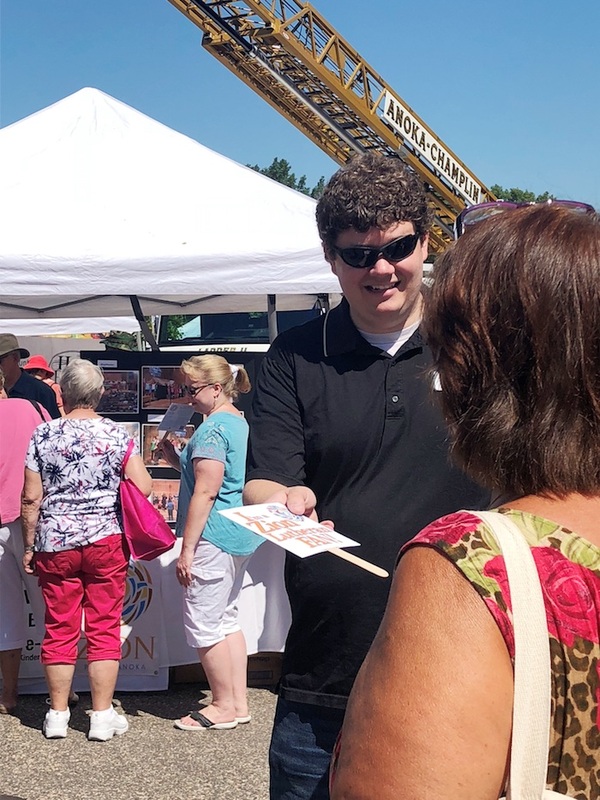 Zion’s booth at this year’s Riverfest was a “hot ticket” with over 2,000 fans with the logo I am a Zion Fan handed out by 12:30 p.m.! 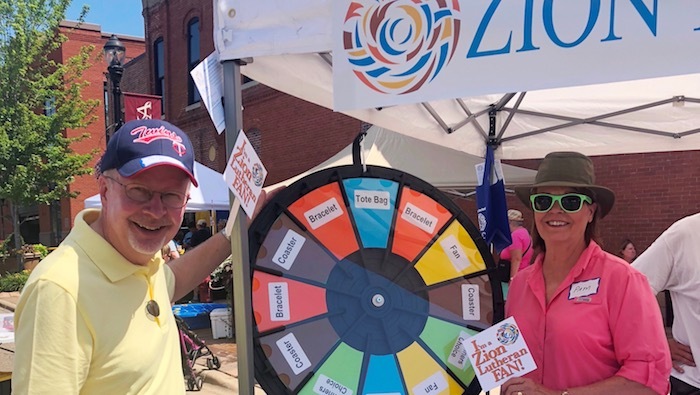 Despite the extreme temperatures booth attendance was high with over 200 children’s books handed out and many spins attempted on the Zion Wheel for a chance to win a Zion tote bag, car coaster or fan. 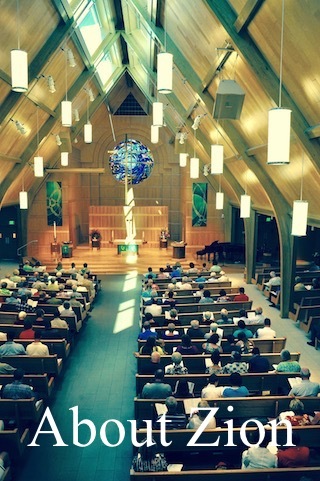 Hosted by the Evangelism Team and manned by Zion’s pastors and staff, Zion’s booth was a great example of God’s Work, Our Hands in our community at large.